It is very hard to write programs that solve problems like recognizing a 3-dimensional object from a novel viewpoint in new lighting conditions in a cluttered scene. 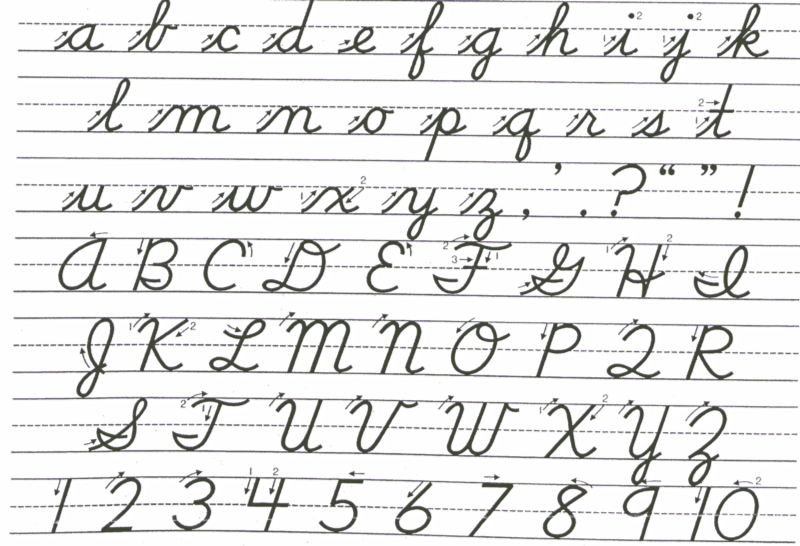 We don’t know what program to write because we don’t know how it’s done in our brain. Even if we had a good idea about how to do it, the program might be horrendously complicated. To understand how the brain actually works: It’s very big and very complicated and made of stuff that dies when you poke it around. So we need to use computer simulations. To understand a style of parallel computation inspired by neurons and their adaptive connections: It’s a very different style from a sequential computation. After finishing the famous Andrew Ng’s Machine Learning Coursera course, I started developing interest towards neural networks and deep learning. Thus, I started looking at the best online resources to learn about the topics and found Geoffrey Hinton’s Neural Networks for Machine Learning course. If you are a deep learning practitioner or someone who want to get into the deep learning/machine learning world, you should really take this course. Geoffrey Hinton is without a doubt a godfather of the deep learning world. And he actually provided something extraordinary in this course. 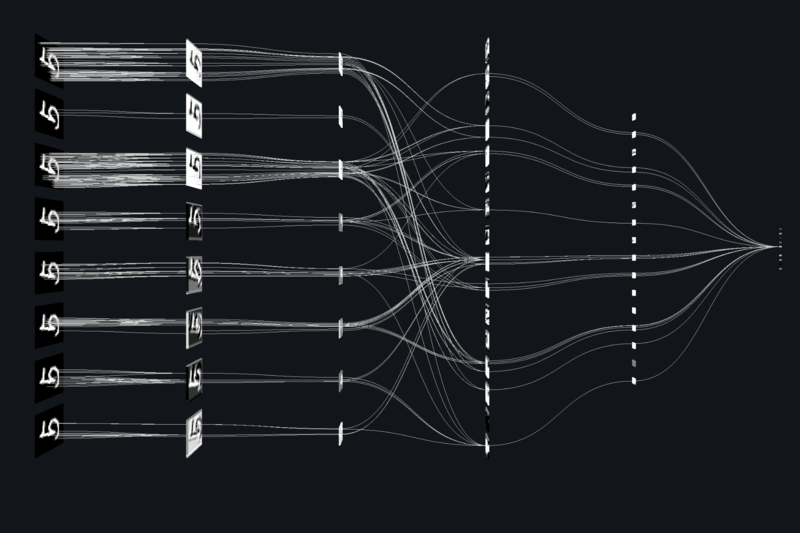 In this blog post, I want to share the 8 neural network architectures from the course that I believe any machine learning researchers should be familiar with to advance their work. These are the commonest type of neural network in practical applications. The first layer is the input and the last layer is the output. 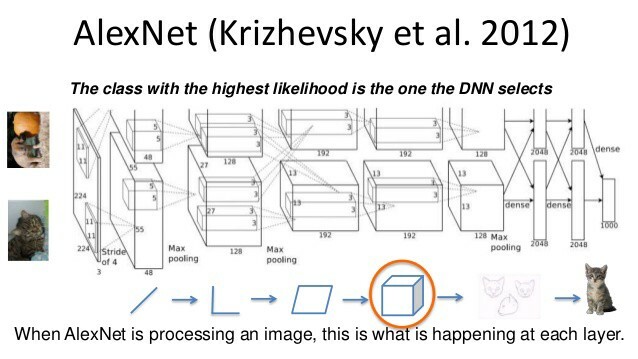 If there is more than one hidden layer, we call them “deep” neural networks. They compute a series of transformations that change the similarities between cases. The activities of the neurons in each layer are a non-linear function of the activities in the layer below. 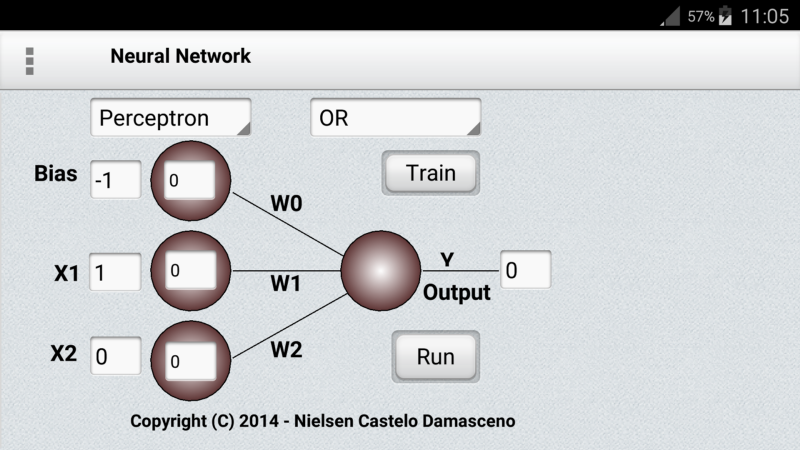 Considered the first generation of neural networks, perceptrons are simply computational models of a single neuron. They were popularized by Frank Rosenblatt in the early 1960s. They appeared to have a very powerful learning algorithm and lots of grand claims were made for what they could learn to do. In 1969, Minsky and Papers published a book called “Perceptrons” that analyzed what they could do and showed their limitations. Many people thought these limitations applied to all neural network models. However, the perceptron learning procedure is still widely used today for tasks with enormous feature vectors that contain many millions of features. This result is devastating for Perceptrons because the whole point of pattern recognition is to recognize patterns despite transformations like translation. Minsky and Papert’s “Group Invariance Theorem” says that the part of a Perceptron that learns cannot learn to do this if the transformations form a group. To deal with such transformations, a Perceptron needs to use multiple feature units to recognize transformations of informative sub-patterns. So the tricky part of pattern recognition must be solved by the hand-coded feature detectors, not the learning procedure. Networks without hidden units are very limited in the input-output mappings they can learn to model. More layers of linear units do not help. It’s still linear. Fixed output non-linearities are not enough. Thus, we need multiple layers of adaptive, non-linear hidden units. But how we train such nets? We need an efficient way of adapting all the weights, not just the last layer. This is hard. 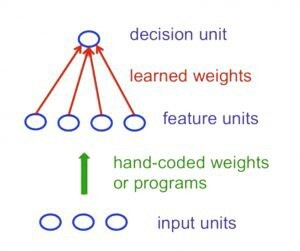 Learning the weights going into hidden units is equivalent to learning features. This is difficult because nobody is telling us directly what the hidden units should do. Segmentation: Real scenes are cluttered with other objects. It’s hard to tell which pieces go together as parts of the same object. Parts of an object can be hidden behind other objects. Then came the ILSVRC-2012 competition on ImageNet, a dataset with approximately 1.2 million high-resolution training images. Test images will be presented with no initial annotation (no segmentation or labels) and algorithms will have to produce labelings specifying what objects are present in the images. Some of the best existing computer vision methods were tried on this dataset by leading computer vision groups from Oxford, INRIA, XRCE… Typically, computer vision systems use complicated multi-stage systems and the early stages are typically hand-tuned by optimizing a few parameters. Using “dropout” to regularize the weights in the globally connected layers (which contain most of the parameters). Dropout means that half of the hidden units in a layer are randomly removed for each training example. This stops hidden units from relying too much on other hidden units. To understand RNNs, we need to have a brief overview of sequence modeling. When applying machine learning to sequences, we often want to turn an input sequence into an output sequence that lives in a different domain; for example, turn a sequence of sound pressures into a sequence of word identities. When there is no separate target sequence, we can get a teaching signal by trying to predict the next term in the input sequence. The target output sequence is the input sequence with an advance of 1 step. This seems much more natural than trying to predict one pixel in an image from the other pixels, or one patch of an image from the rest of the image. Predicting the next term in a sequence blurs the distinction between supervised and unsupervised learning. It uses methods designed for supervised learning, but it doesn’t require a separate teaching signal. Memoryless models are the standard approach to this task. In particular, autoregressive models can predict the next term in a sequence from a fixed number of previous terms using “delay taps; and feed-forward neural nets are generalized autoregressive models that use one or more layers of non-linear hidden units. However, if we give our generative model some hidden state, and if we give this hidden state its own internal dynamics, we get a much more interesting kind of model: It can store information in its hidden state for a long time. If the dynamics are noisy and the way they generate outputs from their hidden state is noisy, we can never know its exact hidden state. The best we can do is to infer a probability distribution over the space of hidden state vectors. This inference is only tractable for 2 types of hidden state model. However, the computational power of RNNs makes them very hard to train. It is quite difficult to train a RNN because of the exploding or vanishing gradients problem. As we backpropagate through many layers, what happens to the magnitude of the gradients? If the weights are small, the gradients shrink exponentially. If the weights are big, the gradients grow exponentially. Typical feed-forward neural nets can cope with these exponential effects because they only have a few hidden layers. 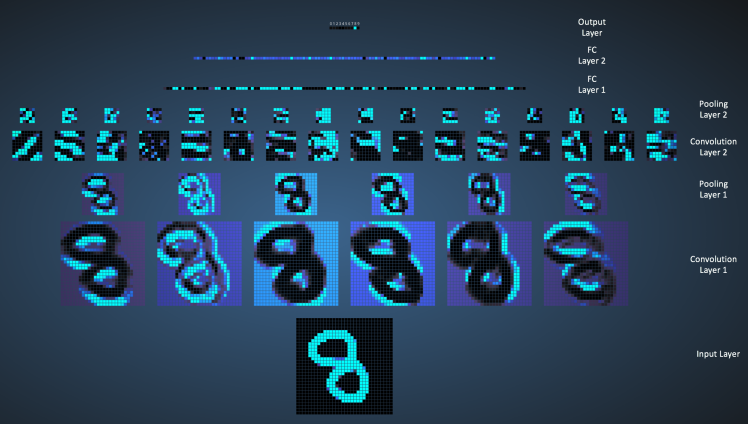 On the other hand, in a RNN trained on long sequences, the gradients can easily explode or vanish. Even with good initial weights, it’s very hard to detect that the current target output depends on an input from many time-steps ago, so RNNs have difficulty dealing with long-range dependencies. 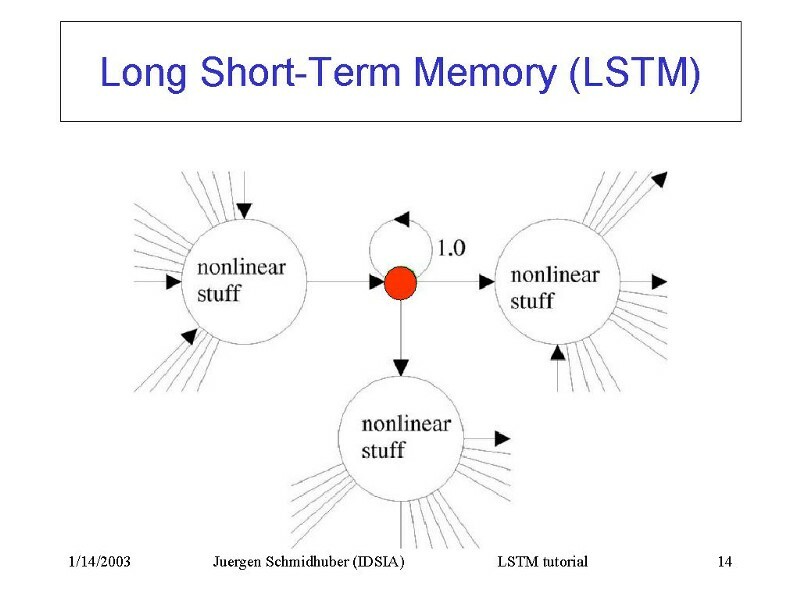 Hochreiter & Schmidhuber (1997) solved the problem of getting a RNN to remember things for a long time (like hundreds of time steps) by building what known as long-short term memory network. They designed a memory cell using logistic and linear units with multiplicative interactions. Information gets into the cell whenever its “write” gate is on. The information stays in the cell so long as its “keep” gate is on. Information can be read from the cell by turning on its “read” gate.